After LSU dropped their third straight game in a loss to Ole Miss on Saturday rumors have circulated about the dismissal of Les Miles as head coach. Rumors like these surrounding losing streaks in major college football programs are common, but the idea of LSU dropping Les is completely insane. Although LSU had a disappointing 2014 season (8-5) and has played their way out of a potential College Football Playoff invitation these last three weeks, there is little proof that Les Miles is the problem. It’s commonplace for athletic departments to grow impatient with coaches that perform below standards, but the last two seasons for LSU are more of an anomaly. Miles, coming to the end of his 11th season at LSU, has won a national championship and two SEC championships. 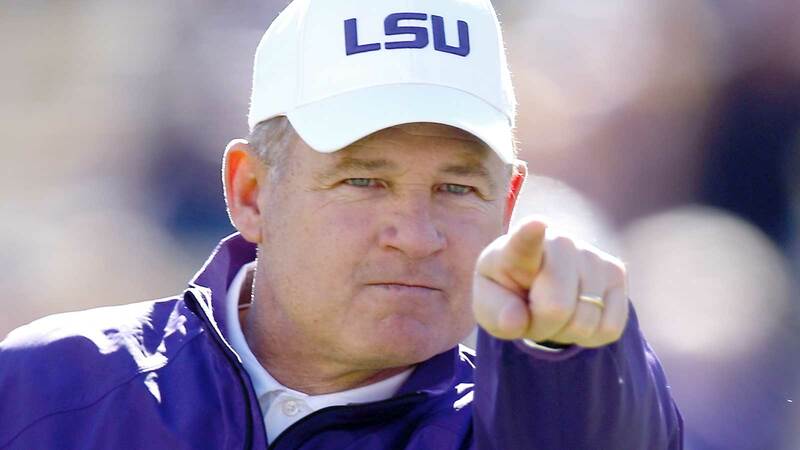 His winning percentage of .775 is also the best of any LSU coach with an average of 10 wins per season. Miles has also produced 64 NFL draft picks and is predicted to bring in the best recruiting class of 2016. Although this is a “what have you done for me lately” college football world, LSU would be smart to take notes from other top-tier programs that forced good coaches out…Michigan is just starting to recover from Lloyd Carr’s dismissal, Texas has been a complete disaster since letting go of Mack Brown, and Nebraska, at the very best, can come away with seven wins this season if they upset Iowa and then win a bowl game. Bo Pelini never won less than nine during his tenure in Lincoln. The last two seasons have not been the greatest for Les at LSU, but he is stable, and stability is what great programs are built on. It is also unlikely LSU finds an already established winning coach from a top-notch program to make the transition seamless. Letting go of Miles is too great of a risk at this time for LSU, especially since letting go of Miles and his staff will cost the Tigers and their boosters north of $15 million. Coach Miles is under contract through 2019.